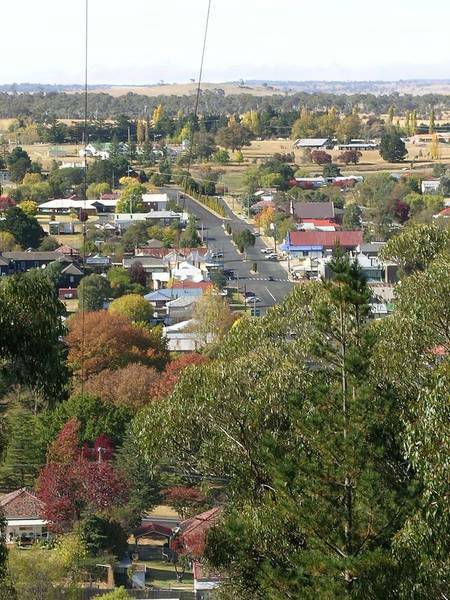 The Shire of Uralla in New South Wales (NSW), Australia is home to approximately 6000 people and 2200 households. Uralla has been the focus of a blueprint case study funded in 2014 by a 105,000 AUD grant from the NSW Office of Environment and Heritage Regional Clean Energy Program to examine how the community can transition to being "zero net energy," that is, producing as much energy as it consumes with renewables, in the stationary energy sectors - electricity (49% of demand), gas (LPG is 6% of demand), and firewood (45% of demand). The study aims to be a model for other Australian communities to follow. The plan lays out two stages. The goal of the first stage is for Uralla to reduce stationary energy use by by 15 percent and to meet 40 to 70 percent of its stationary energy with renewables within 10-15 years through a combination of energy efficiency savings and small scale renewable energy generation using existing programs and commercial products. Stage two prioritizes developing and joining partnerships, policies and advocacy initiatives to enable large-scale renewable electricity generation. This includes the culmination of local efforts to create a regional renewable firewood supply. At the time of the study, the people of Uralla were spending about 12 million AUD annually on energy, with the majority of electricity coming from imported coal. The Australian Government Renewable Energy Target and voluntary investment programs have encouraged local renewable power development, and as of 2014, 10% of households and a several businesses in Uralla already had rooftop solar photovoltaic (PV) systems. Firewood, which is commonly is used in the region for residential heating, is predominantly sourced from fallen timber on farm land, which risks becoming depleted. The plan looks at various options for transitioning to a renewable wood supply, including reducing energy use, generating local or regional renewable power, or importing renewable energy from outside the region. The study also raises the options of improving practices of collection, importing certified firewood from a nearby region, and funding reforestation projects. "Cost-effective energy efficiency actions, replacement of hot water units and residential solar PV alone could decrease demand in Uralla by almost 20%. These actions present the potential to save $2.2M per year and would allow participating households to save up to $1,000 per year (and businesses to save up to $3,000). The study details several variables for the various options, including technical feasibility, the business case, economic impacts, social impacts, environmental impacts, consumer markets, and regulatory and policy issues, risks and first steps. The Z-Net Case study was endorsed by the NSW Minister of the Environment and the Mayor of Uralla.